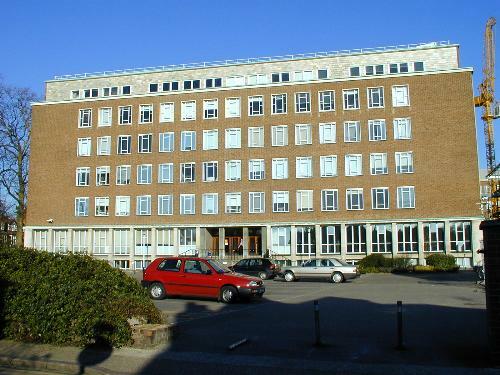 One of the plain university buildings, not uncommon for 1950s architecture in Cambridge. It is just as bad from the side, which is the view most people have of it. Lensfield, the villa of William Wilkins, was demolished to put this building up.